The news story did not specify where he had given the lecture. This common characteristic of Ghanaian journalistic fare, however, did not bother me the least bit. Rather, it was the contents of the lecture, as reported by theClassfm’s media operative that raised my hackles. You see, Dr. Mohammed Ibn Chambas was for quite a considerable while Ghana’sDeputy Foreign Minister under the tenure of President Jerry John Rawlings, and may very well have been one of the university students or recent graduates who staunchly backed Chairman Rawlings’ “revolutionary” putsch that unseated the Hilla “Babini” Limann-led, left-leaning democratically elected People’s National Party (PNP) government. At one point, this quite charming and well-spoken young man, relatively speaking, that is, was even regarded as Chairman Rawlings’ heir apparent. But whatever the strategic favor of the longtime Ghanaian strongman might have been worth, Dr. Chambas’ fortunes appear to have mysteriously petered out. Perhaps because as an ethnic minority, the cold-calculating Sogakope Mafia Capo had not found the selection of the Bimbilla native as an attractive draw in the polling booth, thus his decision to back Prof. John Evans Atta-Mills, the vice-presidential pinch-hitter for Mr. EkwowNkensen-Arkaah, Mr. Rawlings’ expedient coalition partner, who would be brutally mauled at a cabinet meeting for vehemently contradicting his boss, by the alleged assailant’s own public admission. That Prof. Atta-Mills was Mr. Arkaah’s tribesman made all the strategic difference. It made the voters of the Fante-dominated Central Region believe that the leader of the Trokosi Nationalists was not poised to taking them for granted. Anyway, according to the report transmitted to us about the aforesaid lecture, Dr. Chambas had observed his great worry over the fact that more than a half-century after the physical and practical decolonization of the African continent, two-thirds of African nations were uninventively over-reliant on the production of raw materials or primary commodities for export to the more economically and industrially advanced countries. And that if serious measures were not taken to diversify the economies of the overwhelming majority of African countries, the growth of these postcolonial economies would be significantly regressed, thus compounding the quality-of-life problems of this putatively least economically advanced region of the world (See “Fixation on Natural Resources Stunting Africa – Ibn Chambas” Classfmonline.com / Ghanaweb.com 11/15/17). Presently, the former National Democratic Congress’ Member of Parliament for Bimbilla, in the Northern Region, serves as the United Nations’ Secretary-General’s Special Representative to ECOWAS (or the Economic Community of West African States). 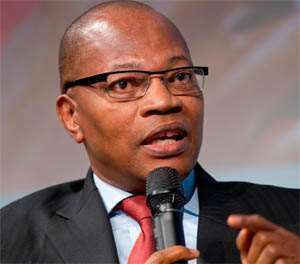 But, of course, what makes Dr. Chambas’ observation inexcusably hypocritical, to speak much less about the downright irritating or annoying, is the fact that the Legon- and Cornell University-educated political scientist was a key player of the Rawlings-led National Democratic Congress’ regime that nefariously, benightedly and systematically dismantled the seminal Nkrumah-fangled group of state-owned and operated factories and manufacturing plants named under the umbrella designation of the Ghana Industrial Holdings Corporation (GIHOC). I suppose what I am trying to state here is that Dr. Chambas is fully aware of the fact that the pioneering politicians and statesmen and women of this country had been savvy enough to recognize the indispensable need for the country’s economy to be significantly diversified and industrialized as a means of remarkably modernizing it and even more importantly, improving the quality of the lives of our people. In other words, it would have been more meaningful and worthwhile if Dr. Chambas had explained to his audience and the rest of us, what motivated Chairman Rawlings and Abongo Boys like Dr. Chambas, himself, to so bizarrely, selfishly and wickedly set back the clock of our socioeconomic, political and cultural development. Talking cheaply as if Ghanaians and Africans had yet to appreciate the need to get well beyond crude-oil extraction and cocoa production, as a means of integrating ourselves into the global economic system of the twenty-first century, was scholastically and intellectually dishonest and utterly irresponsible on his part. And it is a patent act of criminality from which the likes of Dr. Chambas ought to be held fully and squarely accountable.